A soul weary Shane Ryan has physical and emotional scars - souvenirs of his gruesome occupation. 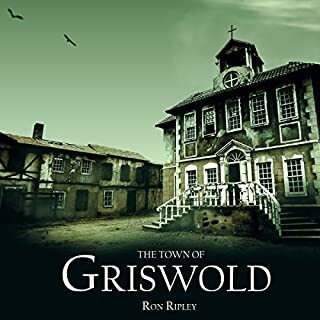 His latest job is in Nashua, a sleepy little upstate New Hampshire town that's been awakened by a rampage of murders in Slater Mill. The body count is escalating at an alarming rate. The police have no motive or suspects in the grisly killings and the residents are scared! 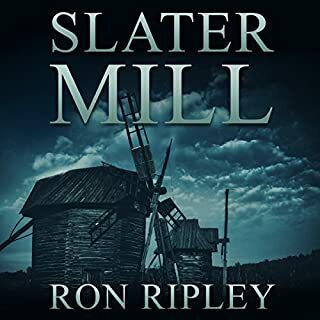 As he prepares to leave for Slater Mill, Shane is visited by an old acquaintance whose timing couldn't be worse. Excellent for an evening or 2 to listen. I would definitely. However, I would recommend listening in order. There's plenty of scares and a hero to root for! I think I just love Shane. He's got a tough, brave coat but he's as sweet as can be! Imagery in the audio is different than reading the book. Not saying either is better. Just saying reading and hearing bring different responses. I like both. I always cheer at the end when Shane is all wiped out but has taken the battle. 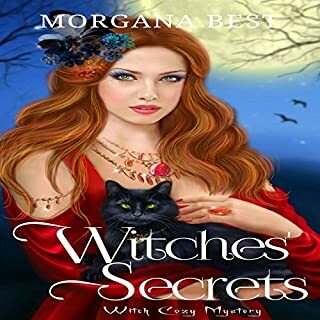 Would you listen to Witches' Secrets again? Why? I would for sure! Anything that lifts my spirits and makes me chuckle is a sure bet! What was one of the most memorable moments of Witches' Secrets? They all are but I particularly like imagining little grins, eyes rolling and sarcasm from our main girl! Have you listened to any of Tiffany Dougherty’s other performances before? How does this one compare? I have. I think they're all quite good. I think I would rate this performance at the top. I always go for the last chapter. I always feel satisfaction when I guess right, even more when I'm wrong. Can't go wrong with a Morgana Best story. 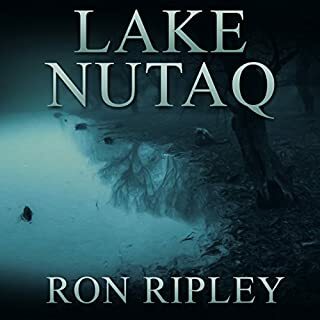 Would you listen to Lake Nutaq again? Why? No, probably not. Because I have the book my interest would be more of reading it again. What was one of the most memorable moments of Lake Nutaq? When Shane takes responsibility for taking out the major bad guy. (no spoilers). The same. When Shane faces his fears and confronts the major evil one. Can you confront your fears? 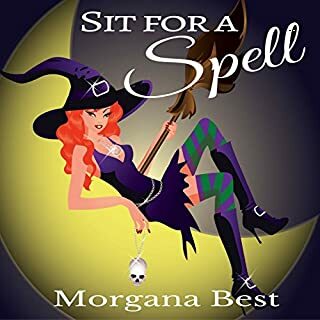 Very entertaining as all the scarestreet books and audios have been! Shane, Frank, and Mason, three ghostblasting military vets, have a new job - the gruesome ghosts of Kurkow Prison. When one of the clueless new owners cuts the iron chains that keep the deadly ghosts locked inside the prison, the property becomes hell on earth! Shane and his brothers-in-arms can't believe the inherent stupidity of the new owners. Fools, Pete, and Ollie, forge ahead, ignoring Shane's warnings, and unleash a spectral horde on Gaiman, New Hampshire! Best in series so far! Poor Shane: In trouble again. 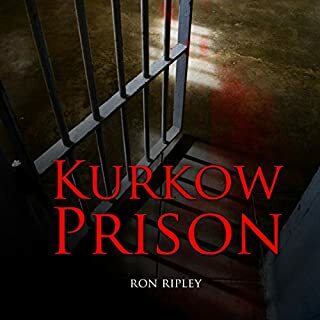 What made the experience of listening to Kurkow Prison the most enjoyable? I love Shane. He's brave without being stupid or unbelievable. The final scene where he takes care of Courtnie. He is pained but but does not show it. A sense of different voices for different characters. When I read, I don't experience that well. If life would allow, Yes. Poor Shane will not be left alone and continues to take on the supernatural spirits. A little humour for the day! What made the experience of listening to Nothing to Ghost About the most enjoyable? The gift of laughter. This author has the ability to take the light side of everything. You'll giggle at the most unexpected Times! The same as above. The sarcastic wit of this whole series. What about Tiffany Dougherty’s performance did you like? Tiffany has a way with the individual characters. Her different voices are well done. Yes, and I did. Started it after dinner and went straight through. Love this author! Check out her other books too! 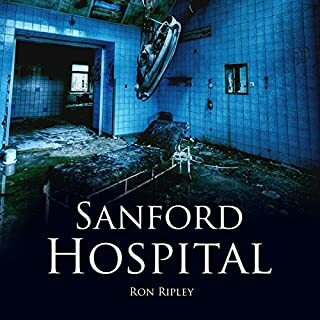 Sanford Hospital. A Victorianesque monstrosity with creeping ivy and the infamous Ward E, home of the soon-to-be-dead. This is where ghost hunter Shane Ryan ends up for his burn treatments. 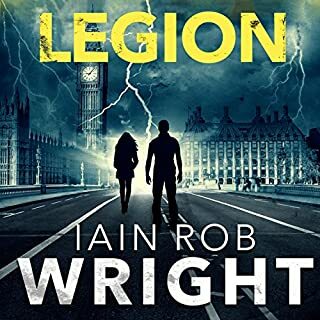 Courtesy of the Veterans Administration system, the ex-marine is cut off from his private doctors and thrust into the arms of a hospital with one special nurse from hell, Nurse Ruth Williamson, who is as dead as they come. Yes, I would. Most of my friend don't like the horror genre. I would recommend it to all of us who do. What was one of the most memorable moments of Sanford Hospital? I love Shane and ofcourse he's back again. Can't really pinpoint an exact scene or moment. Tom did this story excellent! The storyline and he were perfect together because he brought the individual characters to life. Excellent! Highly recommend this one! 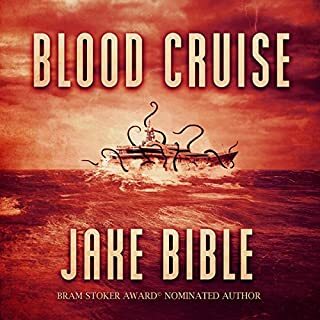 What made the experience of listening to Blood Cruise the most enjoyable? I'm into sea monster horror flicks and this was very well done. Ben of course. I'd like to think I could be as brave in a similar situation. I'm a sucker for endings. This one had a great ending. Enjoyed it very much! No struggle to get through. A great sequel to the others in the series! Can be done as a standalone but I would recommend them in order. Great sequel with the ending for more. Keeping it spooky! 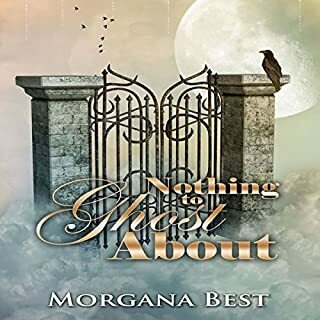 love this author and particularly love the narration. Can't go wrong with this one!